There were probably a dozen images that could have earned this week’s Pic of the Week plaudits, and about half of them came directly from the Liverpool-Manchester United derby that took place yesterday morning. And I’ll be honest, Gerrard seeing red just 37 seconds after stepping on the pitch was a really hard candidate to turn down. But there was really only on moment that could possibly earn the honors. That moment? 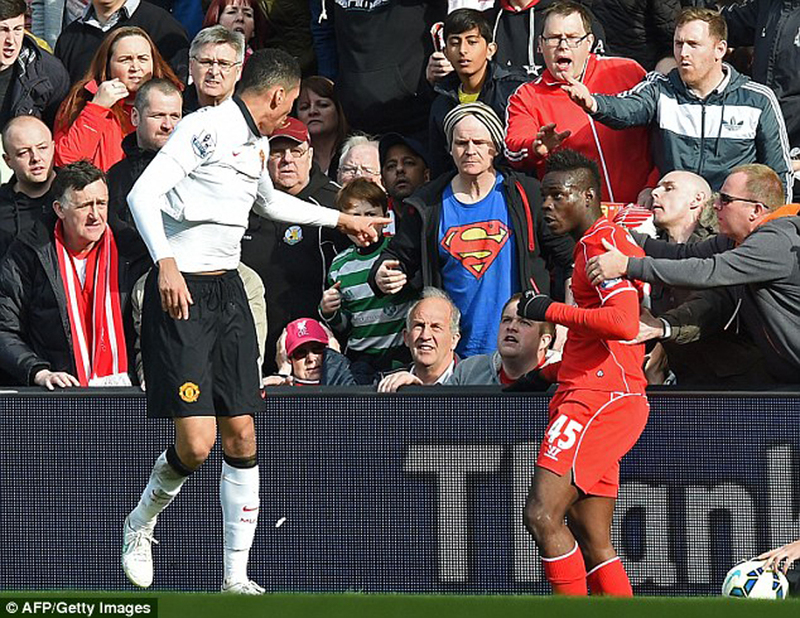 When the already cautioned substitute Mario Balotelli had to be restrained by his own supporters at Anfield after a clash near the touchline with United’s Chris Smalling. Tensions were high as Liverpool were already reduced to playing with ten men and had pulled one back just ten minutes earlier. And when he appeared as a substitute, it only seemed inevitable that Mario would make his way on to the pitch and then see red himself. After picking up a needless yellow for clipping a heel moments before, we nearly saw further fireworks — if not for the quick thinking of the nearby Liverpool faithful.